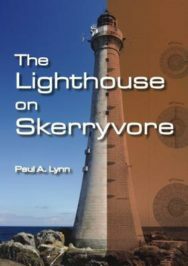 Lighthouses meet literature as Paul A Lynn explores how Robert Louis Stevenson and Sir Walter Scott both travelled with the world-famous Stevenson engineers around the coasts of Orkney, Fair Isle, and Shetland. Lynn also highlights how the men left some poetic, if little known, accounts of their experiences. The Stevenson engineers are world-famous for the lighthouses they pioneered around Scotland in the 19th and early 20th centuries. Among them is a chain of 11 ‘classics’ that illuminate the dangerous eastern coastlines of Orkney, Fair Isle, and Shetland and guide mariners along a vital sea route between the North Sea and North Atlantic. It is hard for us to imagine the Stevensons’ courage and determination as they voyaged among remote islands on dangerous seas, built lighthouses on exposed headlands and vicious reefs, and carried out annual inspections on behalf of the Northern Lighthouse Board. It is perhaps even harder to appreciate the professional and social climate in which they worked and the attitudes of local people, rich and poor, towards their extraordinary and sometimes misunderstood activities. However it turns out that two of Scotland’s most distinguished literary sons, Walter Scott and Robert Louis Stevenson, travelled with the Stevenson engineers around the coasts of Orkney, Fair Isle, and Shetland, and left some fascinating, but little known, accounts of their experiences. … a wretched assemblage of the basest huts, dirty without, and still dirtier within; pigs, fowls, cows, men, women, and children, all living promiscuously under the same roof, and in the same room – the brood sow making (among the more opulent) a distinguished inhabitant of the mansion. The compost, a liquid mass of utter abomination, is kept in a square pond of seven feet deep; when I censured it, they allowed it might be dangerous to the bairns; but appeared unconscious of any other objection. He ended the voyage with a touching tribute to his fellow passengers who, in spite of seasickness, a severe lack of personal space, and very different interests, had got on famously. He had enjoyed as much pleasure as in any six weeks of his life with ‘a succession of wild and uncommon scenery, good-humour on board, and objects of animation and interest when we went ashore’. The second eye-witness, Robert Louis Stevenson (1850–1894), is internationally famous as the author of Treasure Island, Kidnapped and Dr Jekyll and Mr Hyde. A grandson of Robert and son of Thomas Stevenson, he was chronically sick as a child and far from robust as an adult. Initially forced by family pressure to study engineering at Edinburgh University, he spent summer vacations visiting lighthouses and harbours around the Scottish coast. At the age of nineteen he accompanied his father on the annual inspection of Scottish lights, including several on Orkney, and Muckle Flugga at the wild northern tip of Shetland. He sent touching letters back to his worried mother in Edinburgh about his ‘sore journeying and perilous peregrination’ and the social conditions he encountered. The following year he was sent to Dubh Artach, a vicious wave-assaulted Hebridean rock on which his father had started to build a lighthouse, and found the experience thoroughly dispiriting, ‘an ugly reef is this … an oval nodule of black-trap, sparsely bedabbled with an inconspicuous focus, and alive in every crevice with a dingy insect between a slater and a bug’. Increasingly disillusioned, he finally plucked up courage and spilled the beans to his father: he could never become an engineer, his destiny was authorship. 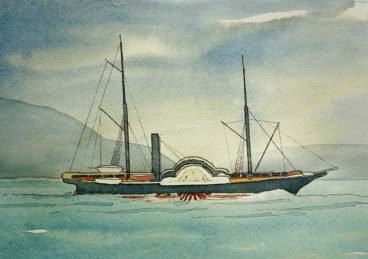 The lighthouse yacht Pharos V, in service with the Northern Lighthouse Board between 1854 and 1874. To play at home with paper like a child. Around the fire addressed its evening hours. Robert Louis Stevenson’s essays and memoirs form a touching tribute to the Stevenson engineers, written by a wordsmith whose delicate health made 19th-century Scottish lighthouse engineering an impossible challenge. 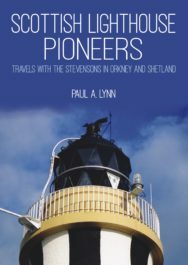 Paul A. Lynn’s new book, Scottish Lighthouse Pioneers: Travels With the Stevensons in Orkney and Shetland will be published by Whittles Publishing on 30 November 2016.